A good basic understanding of the anatomy and nomenclature of the inguino-pelvic nodal groups is essential for accurate staging of male and female urogenital pelvic neoplasms. 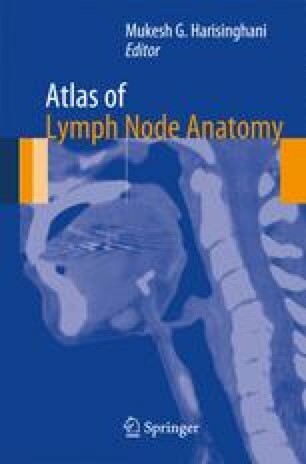 Lymph nodes are not only crucial for staging and management but are also important factors in prognosticating the disease. Parikh S, Beriwal S. The integration of 3D imaging with conformal radiotherapy for vulvar and vaginal cancer. In: Viswanathan AN, Kirisits C, Erickson BE, Pötter RB, editors. Gynecologic radiation therapy. Berlin/Heidelberg: Springer; 2011. p. 85–95. Available from http://www.springerlink.com/content/q2357m067836822t. Adams M, Jasani B. Cancer metastasis: biological and clinical aspects, gynaecological cancer. In: Jiang WG, Mansel RE, editors. Cancer metastasis, molecular and cellular mechanisms and clinical intervention. Dordrecht: Kluwer Academic Publishers; 2004. p. 381–420. Available from http://www.springerlink.com/content/p21234wx75477150.